RvO has a strong history of deploying and supporting VMware vSphere for their customers. RvO required a Linux based backup solution that could easily backup VMware VMs from their customer sites to the RvO cloud. The VM backup solution needed to enable customers to schedule backups, create and edit backup jobs, view backup jobs underway, monitor results, and initiate backup restores. "In the past, we worked with another VM backup solution, but it required us to spend about 30 hours per month to manage and maintain the system and did not support vCloud Director," said Primoz Lah, CTO at RvO. "We evaluated the other leading third-party VMware backup solution on the market, and selected NAKIVO Backup & Replication due to its low maintenance, high reliability, performance and superior customer usability." RvO is a rapidly growing business, and while several hundred VMs are protected by NAKIVO today, RvO expects to protect thousands of VMs across more geographically distributed sites in the near future. Multiple customer environments are hosted within the RvO hosting center, however, RvO often faced VM backup performance challenges with sites located outside of the hosting facility in places with slow WAN links. As a result, RvO required high-performance network acceleration and a network distributed architecture for scalability built into their next VM backup solution. Primoz's team was in search of a new solution, and tested many products that offered an intuitive, scalable, powerful and reliable data protection solution. "After testing several VM data protection products side by side, we realized that NAKIVO Backup & Replication, along with their highly responsive support team, was the best VM backup solution for our Backup as a Service offering," said Primoz. NAKIVO Backup & Replication is specifically built for VMware environments, supports live applications and databases, features near-continuous data protection, changed block tracking, file recovery, compression, and multi-threaded VM processing. By unifying VM backup and replication in a single solution, NAKIVO can deliver fast and reliable VM backup, replication, and recovery. Since implementing NAKIVO Backup & Replication, RvO has dramatically improved VM backup performance, efficiency, and customer satisfaction while reducing system maintenance time and labor dramatically. "With NAKIVO Backup & Replication, our customers can almost learn the user interface themselves; reducing our training time from hours to minutes. An initial backup job on 30GB VM can be complete in just five minutes by us and/or the customer. It just works and it works fast!" said Primoz. Reliable VM backup and recovery is a must, and minimizing the management time to obtain high service levels is even more important. "With advanced VM Backup functionality, superior usability and impressive performance, NAKIVO Backup & Replication has also reduced our overall virtualization data protection costs by 40%" added Primoz. RvO delivers cloud services to hundreds of customers across Europe. Intense customer support has made RvO, a leader in cloud computing. Delivering enterprise-class cloud services, RvO supports businesses of all sizes and types. RvO provides dedicated cloud, hybrid cloud, as well as backup and disaster recovery services to deliver the ideal set of cloud services for each customer’s specific needs. 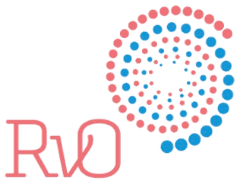 The RvO backup and disaster recovery services are powered by NAKIVO. For more information, visit www.rvo.si.